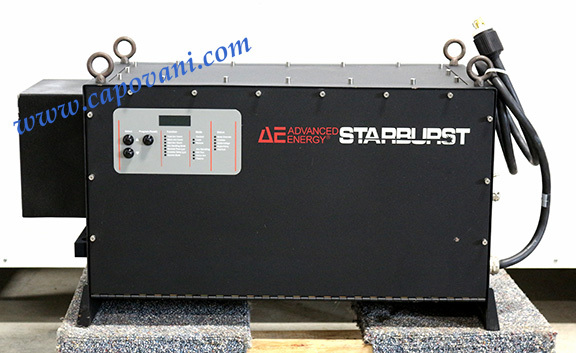 In addition to this Advanced Energy Starburst -- Arc Handling Accessory, Capovani Brothers Inc stocks a wide range of used DC Magnetron Power Supplies. Typical manufacturers include Advanced Energy, ENI Power Systems, Huettinger, Spellman and TDK Lambda. Other Information AC Input Voltage: 115V ac, 60Hz, single phase or 230V, 50Hz, single phase. DC Current: 120A steady state max, no minumum is required for operation. NB: Complete Specifications Provided in Link Below.